I've been hanging out in Acts this week and came to verse twenty-six where Paul is representing himself in court. See, the Jews were angry with him because he was preaching the Gospel, and they didn't like it very much. They didn't believe Jesus was the Son of God, crucified, and raised on the third day from the dead. And they didn't want Paul preaching any differently. So Paul is arrested. And when he stands before King Agrippa, he represents himself. He starts right off owning the fact he used to persecute people for the very beliefs he now stands on trial for. But then he moves into preaching. Because Paul never let a moment pass him by. He's passionate about his brothers realizing what they missed. Basically he's saying "You all have been sitting around waiting for a promise that's already come, and because I'm preaching that it has, you're wanting to shut me up. But listen, you've studied all about God. Are you really telling me you don't believe it? That He can't raise His own son from the dead?" Paul was challenging them, because for all their studying, memorizing, watching and waiting, the Jews still missed Jesus. Oh. Have you ever been there? It might have been a whisper or maybe thunderous, crashing waves, but God spoke to you. He gave you a promise for your future. And you prepared. Watched. Studied. Waited. But somehow in all your preparation, you missed it. For the Jews, their missing it was all part of fulfilling the prophecy, but once the prophecy was fulfilled, they refused to admit maybe they were wrong. And in our stubbornness, we can be much the same. It's humbling to admit we were wrong. That we so completely missed the mark. But here's what I so love about our God. He loves us too much to let us continue shooting arrows that miss. He sends us help to get us back on track. Oh! See this! God loved them so much. He knew they'd messed up. He knew their hearts were hardened and they were totally walking blind in the dark. But He wasn't about to let that anger and darkness allow them to keep missing the promise He'd sent--or His forgiveness. Because He wanted them with him. That "place among those sanctified by faith in me" is Heaven. His home where He so desperately wants us. The ultimate promise of eternity spent with Him. 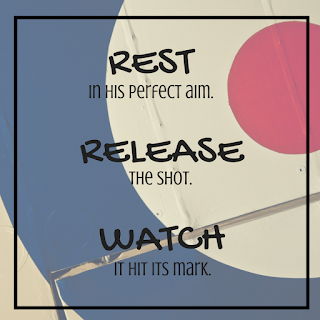 God wanted their aim corrected, and He provided a voice to point them back to their bullseye. And that's totally His personality. He never leaves a promise unfulfilled. He seeks us out. Shines a light so we can see the mark we're aiming for and steadies our hand, but it's up to us to release the shot. And while this story is talking about the promise of Jesus Christ--a promise given and fulfilled for each and every one of us--we can also use it to apply to our individual promises in our lives. God created each and every one of us with a specific plan and purpose. He has specific promises He wants each of us to claim. So what about you? Are you waiting for a promise, watching one being fulfilled, or being called back to one you may have overshot? 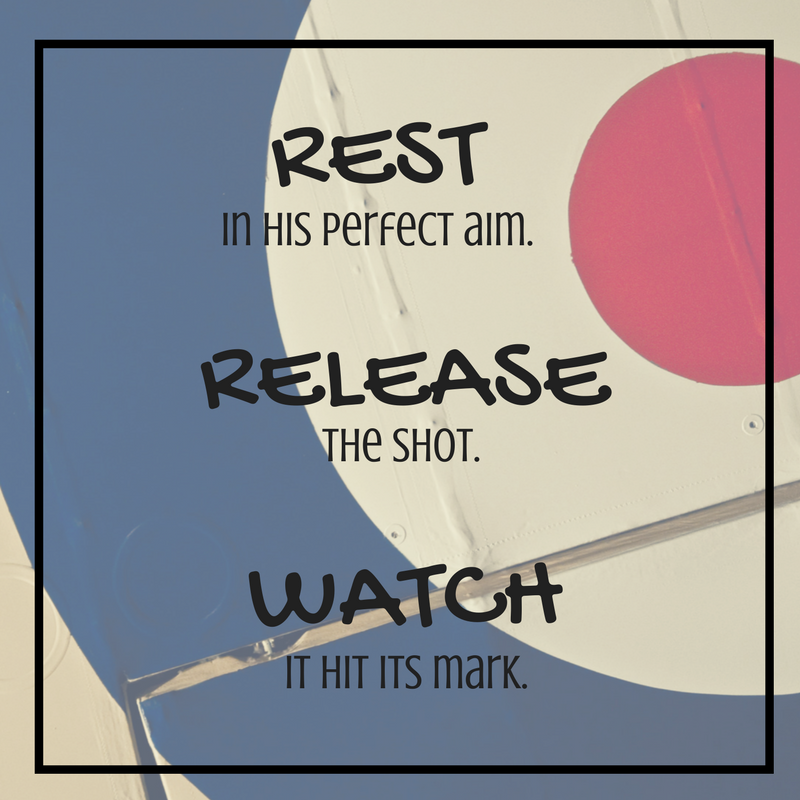 Today let Him guide your hand, rest in His perfect aim, release the shot, and let your arrow hit its mark.